We are Guernsey's largest Clay Pigeon shooting club and host a full calendar of events throughout the year. We offer a wide range of clay shooting disciplines, suitable for novices through to experienced shooters. Non members are always welcome. For those with experience in this sport we are open on Sunday mornings from 09:00am until 12:30pm and have club guns available if you are visiting Guernsey. On Saturdays between March and September from 09:30am to 12:00pm we can offer exciting shooting opportunities for corporate groups, families, stag, hen and birthday parties. Our qualified instructors will provide a unique, safe and memorable experience. Please contact us if you would like to book an event. 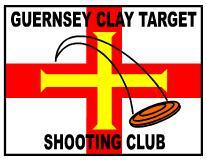 Guernsey Clay Target Shooting Club, Portinfer, Vale, Guernsey.